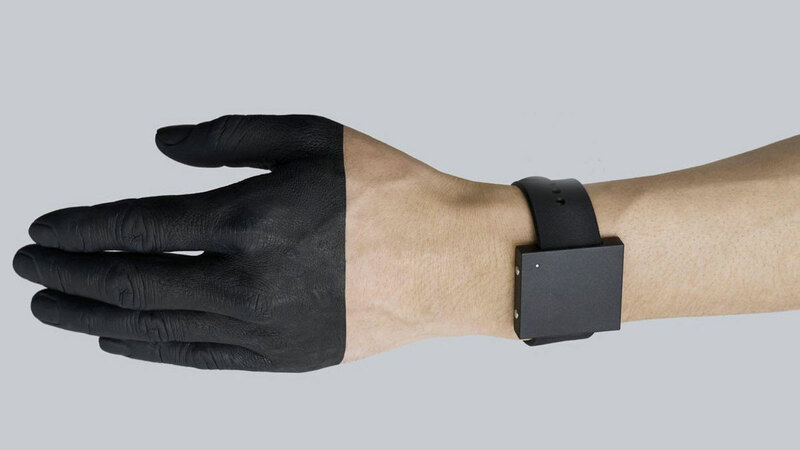 The Basslet--conceived, I'll bet, when one of the creators at Lofelt had a 2-year-old kid who kept wanting him to look at her "bacelet"--is a wearable for those who crave to feel the beat of the rhythm of the night. It extracts all the great properties of a subwoofer, such as the bass and the pump, while leaving behind the undesirable ones, such as the fact that no one else wants to hear the thump, thump of your crappy music, son. Yep, in addition to condensing the subwoofer to a size that straps around your wrist, the Basslet silences it. When worn, you'll feel your jams pulsing up and down your body, but no one else will feel or hear (or taste or smell) it doing its thing. The Basslet's sender connects to any pair of headphones with a 3.5mm audio jack, and then pairs wirelessly to the Basslet, which syncs with whatever music you're playing. The Basslet unit has a LoSound engine that can recreate bass frequencies down to 10 Hz so you'll feel drums and basslines in HD. For a limited time, get $20 off a Basslet from the Dude Exclusives online store.